I discovered a ‘new’ place in The Hague centrum that is an ideal place to score lunch. Baladi is a small Lebanese manouche place located at Torenstraat. 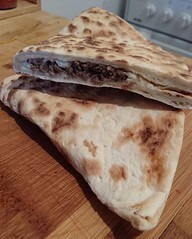 Manouche is a Lebanese flatbread served with different toppings like za’atar, cheese (akkawi), meat, strained yoghurt and hummus and more. Baladi has a special manouche every month. They also have Lebanese delicacies and drinks. I found Baladi on Trip Advisor and I went there three times already. Which should tell you how good they are. I tried the Cheese & Za’atar, first time I tried za’atar and I definitely liked it. I also tried the hummus which they make fresh. The hummus manouche wrap is healthy and low sodium (from what I and others tasted) which is perfect for a healthy lunch. The second time I tried the spicy meat and cheese, which was delicious. Left me wanting more. Already planning on getting it again the next time I go there. 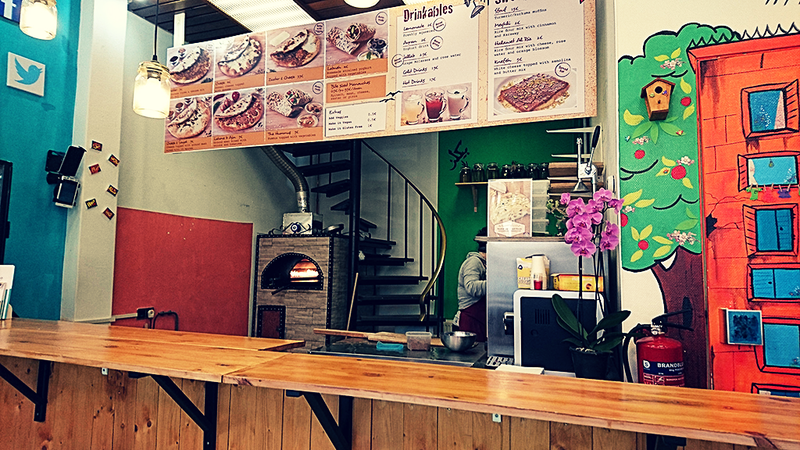 The place is run by a young couple, they cook and make everything themselves. You can also ask for gluten free manouche and/or for vegan toppings. There aren’t many places that are that accommodating. If not in the mood to go out you can also order them on deliveroo.nl or foodora.nl. Foodora has an option to leave special instructions, Deliveroo does not. Next time you are in town, need a nice, fast and healthy lunch. Try out Baladi.